Last week I was told I was 'old-fashioned' for knitting, yet hip people knit apparently. Search for 'celebrity knitters' and all manner of fancy types are clicking sticks, look! While it is hip to handicraft, there is still a lingering suspicion that only old ladies knit and it certainly isn't something worthy of capturing in art. Mercifully the Victorians did not feel the same way. 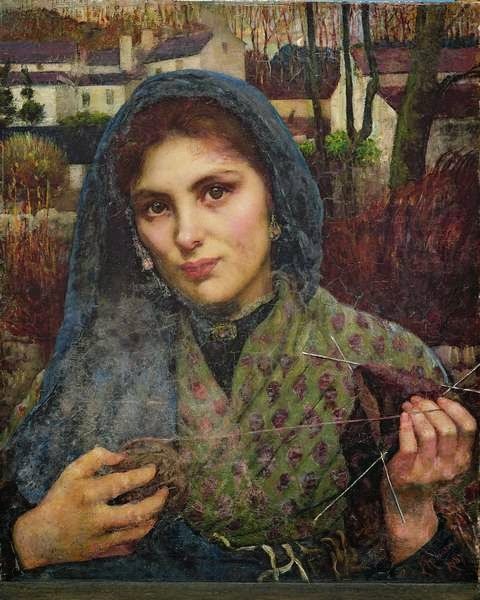 In nineteenth century art, knitting has meaning. Knitting is industry, keeping girls who tend sheep even busier than they already are. Knitting is supplementary work, a useful womanly craft that serves a purpose. 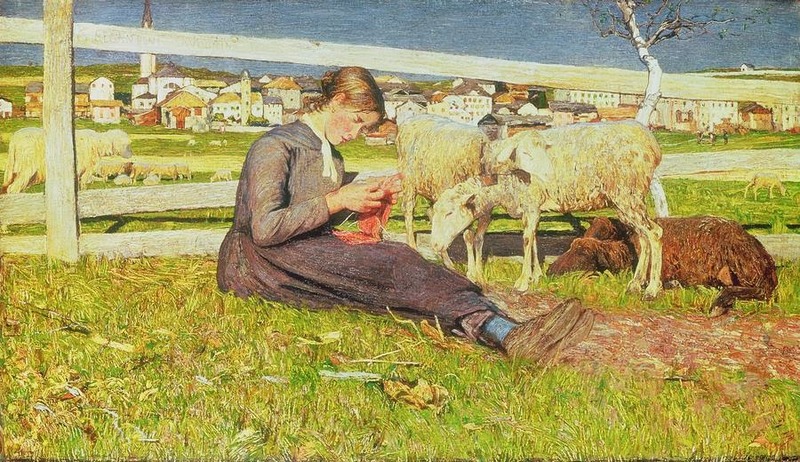 This young lady in the meadow can make socks or a hat while she tends the flock that provides the wool. There are a peathora of young, working class women, fitting in this extra task among their other everyday routine. 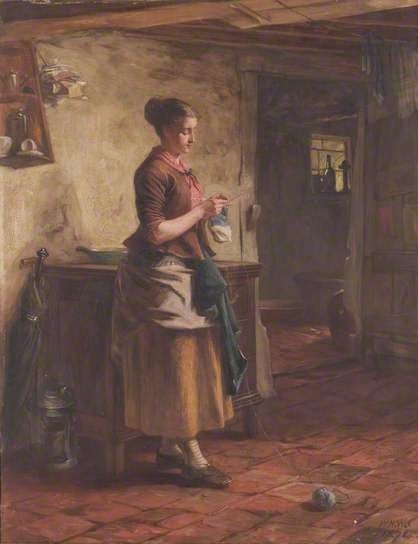 Sometimes the girl is outside, sometimes she is in a domestic scene, turning a heel of a sock. Often the hour is late and possibly knitting is the only task that can be managed in such poor light. 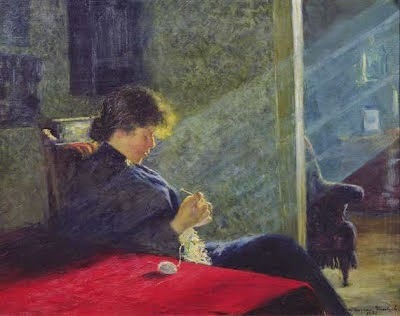 Here is a woman in a darkened room, needles in hand, knitting while her child creeps in to the room. 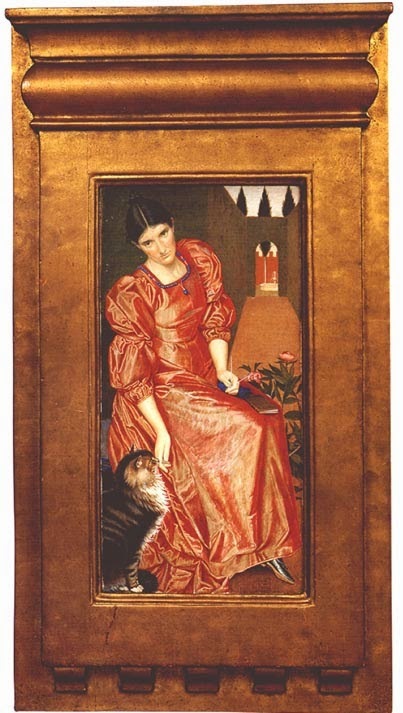 Everyone should be asleep, the cat, the child, and the woman still works. There are also images of not-so-poor women, needles in hands, wool in pretty colours. Many of these women are older, knitting in their leisure hours. This is not supplemental work, this is frivolous, deer-hat knitting for women who buy their wool rather than spin it from their own sheep. This is a gorgeous image and not the only 'mother' image I found. Older women, comfortable and middle class, knit to pass hours and remain useful. Painted by her son, this woman creates something, possibly for him. What use has she now? She has raised her children, successfully, so what will she do now? 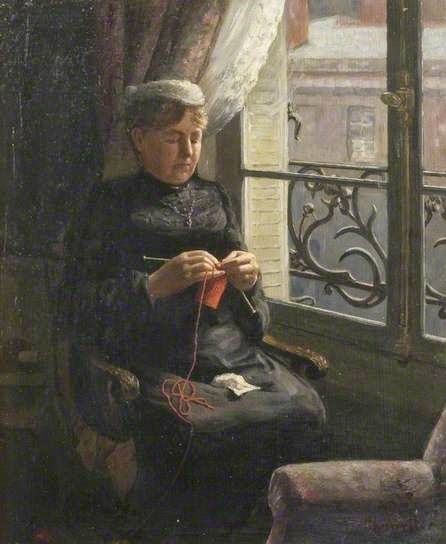 Not a widow by the look of that vivid red, but knitting in black like a foreshadow of her future. 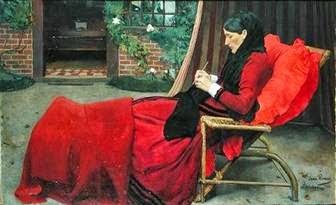 I like to think of this as a counterpoint to Whistler's mother, vibrant and busy even though she does not need to be either. This is probably what most people would think of when they hear the title 'Mother, knitting', a rather more polite version of Giles' Granny, seated by a window with some pink wool, probably knitting something for a grandchild. 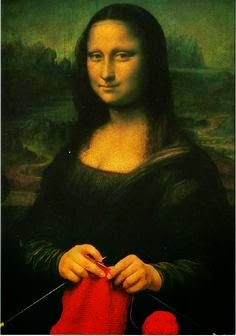 This one reminds me of my granny, the one who taught me to knit. She was about four feet eleven, always wore a pinny and could do something to your little finger that could make a grown man cry in seconds. Jolly good role model all round. 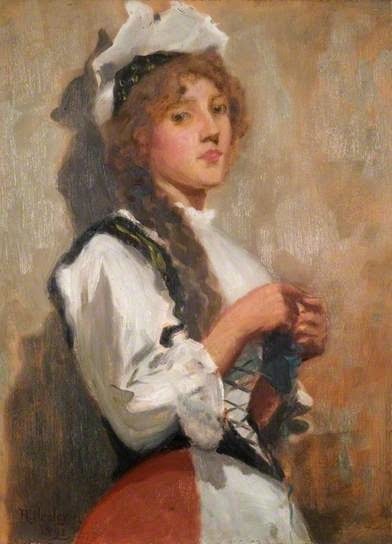 Knitting also has another meaning in art, possibly linked to the first. 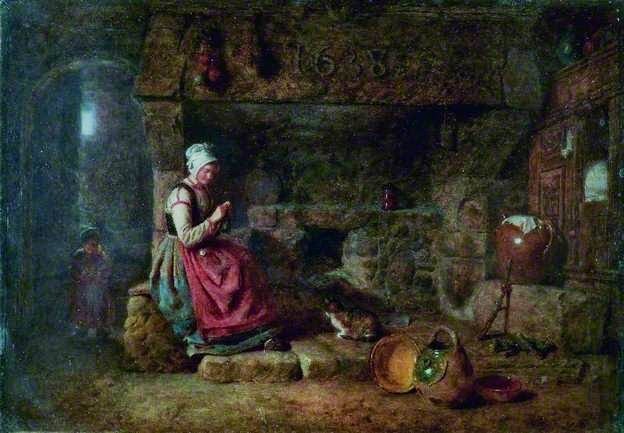 Looking at the paintings of younger women knitting, I think knitting is linked to virtue. I suppose if your hands are busy with needles they aren't busy with anything else. Look at the family group above, and you'll notice we have a spare woman. 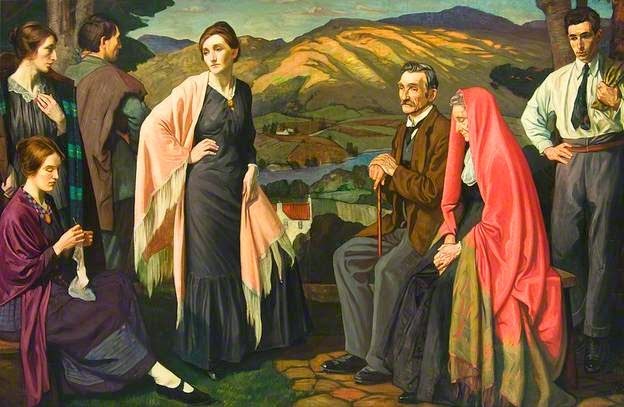 While two of the younger women are on their feet, the third sits and knits, the only one who has a focus. The fractured gaze of the group, disconnected and alone, is not present in the 'spare' girl. It's as if she's wandered in from another picture, looking for somewhere to have a sit down and a quick knit. Industry will save her in the bleak, post-war world. While the others wonder what they will do, how they will recover, who they will marry, the third girl is getting on with her sock. 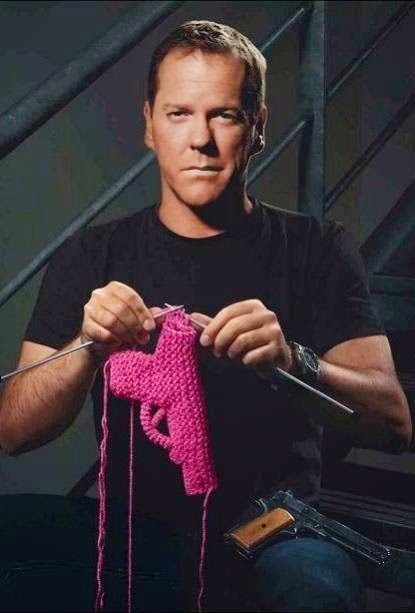 My favourite picture of knitting has to be this one. 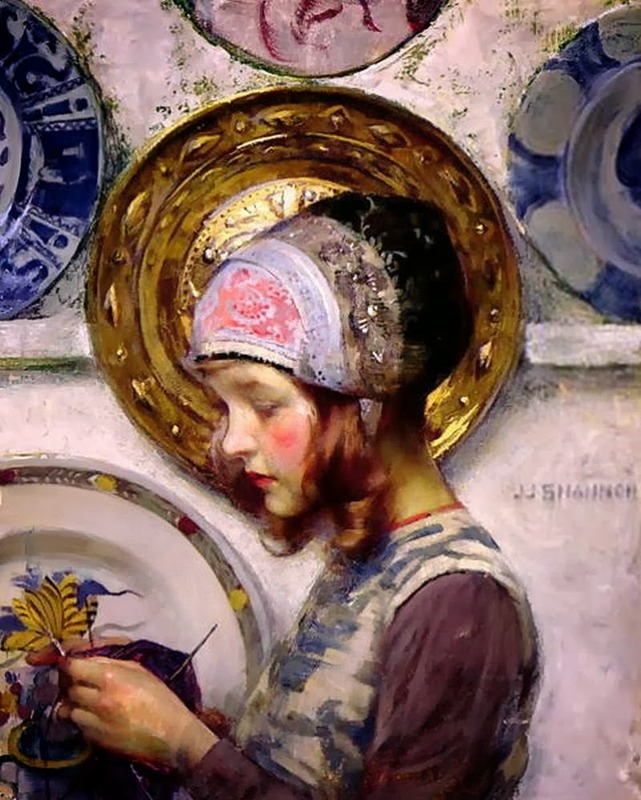 So gorgeous, and reminiscent of Gotch's enthroned mini-princesses, knitting in the round with her royal-purple wool. Delightful. Little girls knitting is conversely about being a wife and a virgin,or at least virtuous. 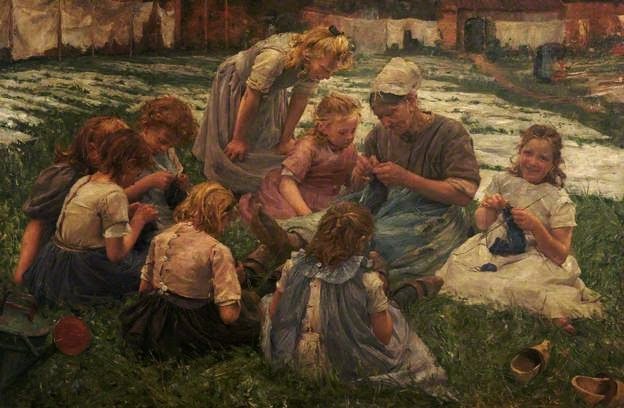 This old lady preps the little girls in a good wifely craft so that in the future they can knit for their husbands and children, but in the meantime it will give their idle hands something to do so that the devil doesn't. It's true that I commit far less sins when I'm turning a heel of a sock, mind you my language is often appalling. For a very graphic example of this, we have Portielje's would-be seducer trying to get past five needles. She's let her knitting drop a little, that ball of wool is now rolling around on the floor and so I'm worried that she's going to follow it. She'll be sorry if she drops any stitches but not half as sorry as she'll be with a baby out of wedlock. Mostly knitting is a solitary pleasure, something women do on their own and I think it's no coincidence that a female artist understood the link between knitting and thinking. I knit to control my galloping mind but rather than filling my head with knit-one-purl-one, I get room to dream, comfortable in the knowledge that my hands are making something useful. This woman is dreaming of something or someone (note no wedding ring), but her hands keep busy, masking her thoughts. Knitting gives women the space to think unnoticed, a mask of domesticity behind which to shelter a tumble-mind of wonder and decision. In conclusion, a woman who is knitting is thinking and making. Past and present, knitting is a pleasure that pays back with warm and comforting things. When I knit I like the connection to my handcrafting ancestors, but I also like the continuation of something low-tech in a hi-tech present. Yes I can buy a hat, probably even a hat with little felted antlers, but I like creating something beautiful, in beautiful colours and in wonderful yarns, that is mine and mine alone and a little work of art. If you are a knitter, then you need Ravelry in your life (go here). It's amazing, like Facebook for crafters, with thousands of patterns and wonderful advice. Dickens recalls his stay in Barnard Castle, whilst researching Nicholas Nickleby. How he would be awakened every morning at around 4.00 am by the irritating click of knitting needles as the local lead miners knitted and walked on their way to work past 'The Kings Head' inn where he was staying. 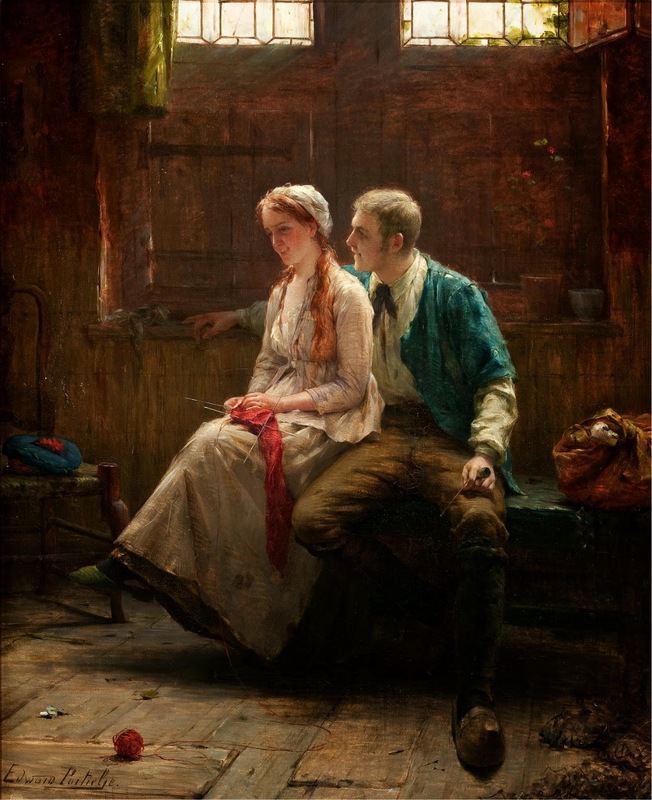 Also I noted with pleasure the Ralph Hedley painting, thanks for that. Yes, I thought you'd like the Hedley. What a lovely story, although I start knitting slightly later than 4am! Lovely read and enjoyed the beautiful pictures too. You've captured my feelings in my 50+ years of knitting...and now spinning.